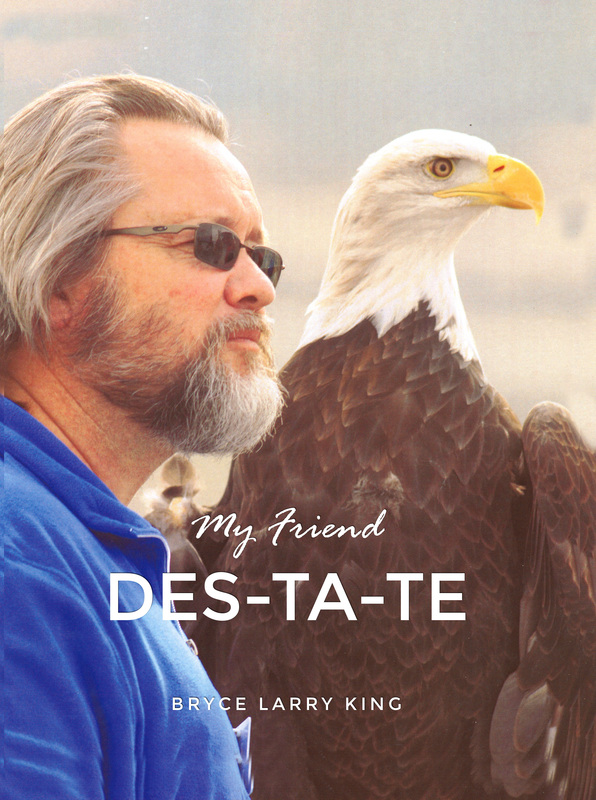 My Friend Des-Ta-Te is a heartwarming story of an injured bald eagle who is now accepting her new life in captivity. The bald eagle Des-Ta-Te has captured the author’s heart, the hearts of others, and he hopes that she will do the same for readers. From a very young age, Bryce Larry King has been captivated by nature. He became interested in raptors and, at the age of twelve, became involved in the sport of falconry. His love for the birds has lasted throughout his entire life. King is a self-taught naturalist which led him to his current profession of wildlife specialist and educator. Art has also been a passion of King’s. He enjoys being able to combine art with his love for nature and educate both children and adults about the beauty that surrounds us. King has been married for over thirty years and the couple has been blessed with four wonderful boys. They live in a small community in Utah, very close to the mountains.